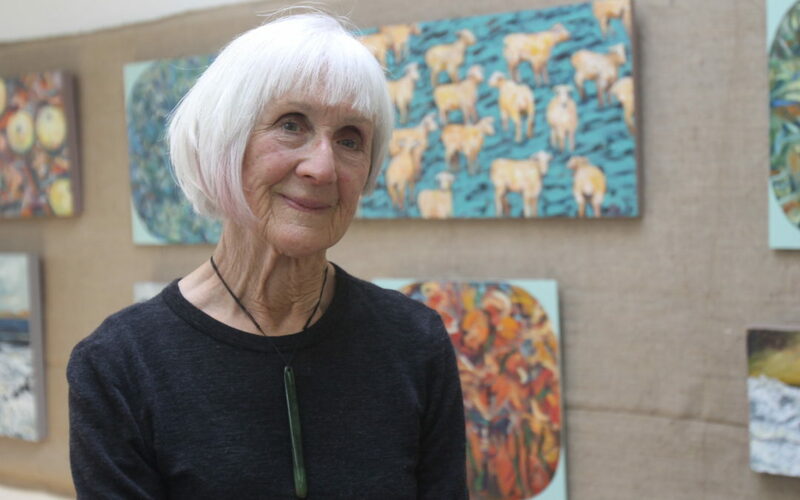 Jan Eagle, a “daughter of Greytown”, will be remembered as a determined artist and a mover and shaker in the Wairarapa community. She died on Wednesday after a battle with cancer, aged 82. Eagle was born in Greytown to Jack and Stella Bull in 1936 and is most known for her efforts in revitalising the historic Stella Bull Park and Sarah’s Garden. She was an established Wairarapa artist, having painted for as long as she could remember. At an exhibition at Heart of Arts in Carterton last year, Eagle said it wasn’t until later in life that she made art a full-time career. “My parents said, ‘You won’t make any money out of art’, so they put me as an apprentice to a florist in Masterton, so I’m a fully qualified florist,” she had told the Wairarapa Midweek. After selling her florist shop in the 80s, Eagle went on to dedicate herself to her art full-time – “It’s my life, it’s who I am”. She was instrumental in the establishment of Heart of Arts, according to former Toi Wairarapa and Heart of Arts co-ordinator Corrinne Oliver. “[Jan] was the very first person to turn up at Heart of Arts, paintbrush in hand to help paint and tidy up the building turning it into an art gallery”, Oliver said. “She was passionate about the arts and supporting other artists and all of her interactions were just so meaningful. Another legacy Eagle leaves behind for the Wairarapa community is the revitalised Stella Bull Park. Her mother, Stella Bull, the park’s namesake, fought to preserve the park and Sarah’s Garden until her death in 1972. The area remained largely under-used until the Friends of Stella and Sarah was established in 2011 by Eagle and Ruth Evans. Evans said Eagle was the “driving force” of the park development, which reached a head last year with the placement of a large 5m-tall steel cabbage tree sculpture, designed by Niko Thomsen. Eagle was the eldest of three children, sister to David and John Bull. John Bull said there was no one else in the world like his sister. “Jan is Jan,” he said. 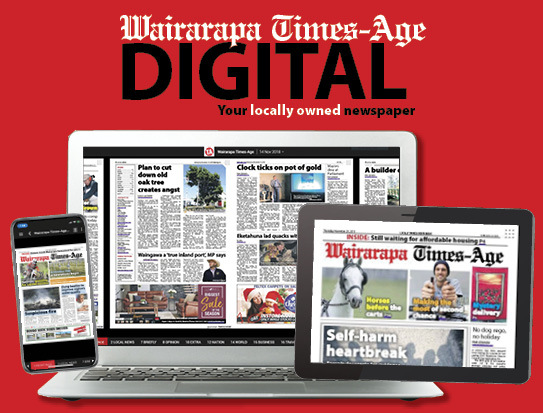 Eagle was a supporter of Aratoi and the former Wairarapa Arts Centre. She held solo exhibitions titled The Urban Provider , Space to Space  and Heavenly Communications  at Aratoi. Her work was a celebration of life: bright, quirky and full of meaning. To honour Jan’s memory, her oil painting Saturday , held in the Aratoi collection, was to be on display in the foyer from yesterday. Visitors may sign a book which will be given to the family. A celebration of Eagle’s life was held yesterday at St Luke’s Anglican Church in Greytown. 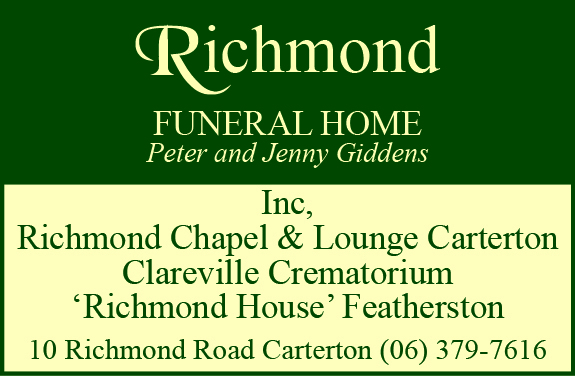 She was buried at the Clareville Natural Burial Cemetery – something family members say is “very Jan”. Her casket was transported for burial in the back of brother John’s ute. “All the Bull family have a special sense of humour – she would love it,” he said. Eagle was the loving sister of John and Rose Bull, and David and Irene; loving mum of Robert and Linda, Kei, Barry and Ana, Lee and Patrizia, and Nan and Great-Nan of many.